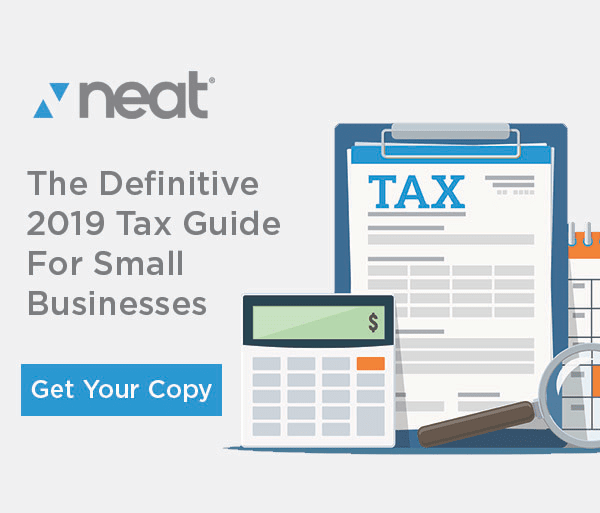 The IRS levies four general types of business taxes: income tax, self-employment tax, taxes for employers, and excise taxes. For more details about the specifics of each of these types of taxes, check out the IRS Guide to Business Taxes. The federal tax forms you’ll need to file will depend on the classification of your business. Each class — sole proprietorships, partnerships, C-Corporations, S-Corporations, and LLCs — have distinct and specific sets of filing rules. Then, there’s the matter of state taxes, which will also depend on the legal structure of your business. If you’re unsure of how to navigate the ins and outs of your business taxes, don’t hesitate to ask a tax professional! But if you’re on your own, there are some helpful strategies that can make filing your taxes easier and save you money. While this deduction isn’t applicable to group plans, if you pay premiums out-of-pocket without a tax break on an individual health plan, you may be eligible to claim those premiums as an income deduction to reduce your taxable income. While we’re on the subject of health-care-related deductions, the health care tax credit can help eligible businesses save. This credit benefits employers with fewer than 25 full-time employees, who are paid an average salary of less than $50,000 annually, and pay at least half of employee health insurance premiums. We should note that you’ll want to ask a CPA or other tax professional before claiming this credit in order to be sure that you qualify for it. Things like expenses for out-of-town business travel, business-related ATM card fees, mileage deductions, and supplies for your businesses can all be used as deductions. The home office deduction is an option for those who have a dedicated home office. You can also deduct any charitable contributions made by your business in the form of volunteer work, donations of goods or money, volunteer expenses, and stocks. You’ll need to make sure you have the receipts to back up the deductions you claim, so keeping organized, detailed records of your business expenses and donations is essential. There are many ways to do this, from a computerized or even paper log to an automated program such as an app. These records will help you justify your deductions in the (unlikely) event of an audit. This deduction, known as Section 179 property, can include up to $500,000 of eligible business property. It’s important to note that you can only take the full deduction in the year that your business began using the property (for business purposes! ), making it a great deduction for people who have recently moved or for business owners who acquired new property for transportation, business, manufacturing, or research purposes. Some tax credits, like the work opportunity tax credit (available to businesses who specifically hire veterans, disabled people, and other disenfranchised groups), can benefit your business and may be taken if you’re eligible. You can also claim a tax credit if your business pays for employees’ child care expenses. You can claim 25% of the expenses paid, up to $150,000 annually. In some cases, this can provide a bigger tax break than claiming your own child on an individual return, so it may be especially worth looking into. While each of these tax deductions may not apply to you, some may be applicable to your business and will help give you an idea of what to look for as you go to file your 2018 taxes. If you’re unsure of how to file, consider working with a CPA or other tax professional to remove the guesswork. All of these deductions are of course dependent upon maintaining good records, both electronic and paper based if necessary. 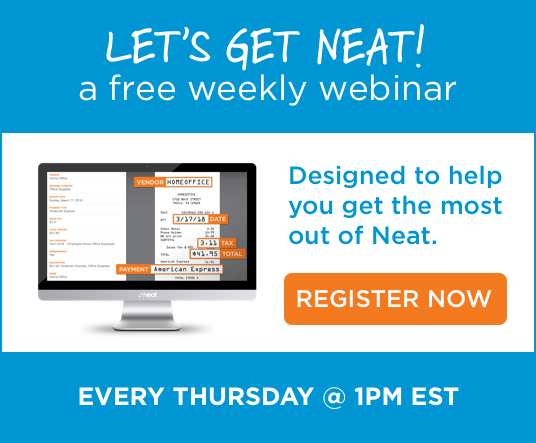 The Neat Company provides software for small business owners and self employed to help capture, track and manage all of their business expenses. However, software can only take you so far, users must develop good habits and use the tools on a daily basis. Scanning receipts with your mobile phone while on the road is the perfect example. Scan as you pay until it becomes muscle memory and you don’t even think about it anymore.